Andrew Martin Consulting can assist with enabling a better understanding of how the business is performing, how resources are utilised, perhaps whether it might be more efficient and cost effective to re-distribute resources so as to concentrate on one or more types of trade, rather than on potentially loss making activities. It is important that management information is appropriate for the nature, size and style of the business that it reports on. Too much complexity and the message is lost, not enough information and the a true understanding of performance and value is not portrayed. Whether very simple reports or sophisticated packs of information, completeness of transactions, accuracy and timeliness are common in both scenarios. Effective use of business financial data will allow your management team to better understand the business performance. 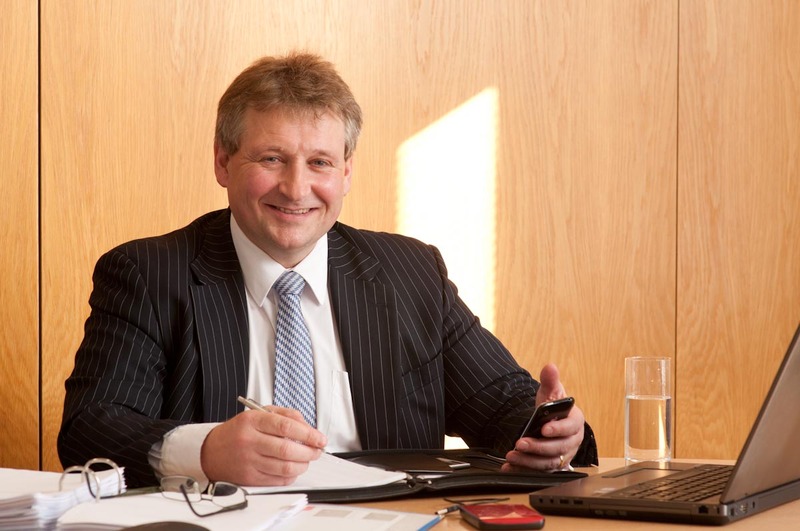 Whether two days a week, four days a month or even one day a quarter, Andrew offers assistance and advice accordingly, supporting the management of the business as they require. Employment of a full time Finance Director, or indeed Financial Controller, is extremely expensive today. So being able to source the relevant experience and knowledge on a need only basis makes for sound business sense. Andrew has many business associates and contacts. Consequently he is able to recommend other business professionals to his clients when necessary. For example, auditors and accountants, tax specialists, solicitors, book keepers, bankers, IT professionals, graphic designers, journalists, business and life coaches, web designers and printers are but a few of the specialisms from his portfolio of business support. "Business people are very brave and often overlook their courage and self belief. It is extremely daunting setting up in business today. People management, tax authorities and regulation, raising finance, accounting, selling, marketing....It really is quite frightening at times when you are on your own. I know - I've done it, many times! But the reason people give up a secure employed position with a good salary and benefits etc. including those that accept a management position with another employer is because they are good at what they do and they can see a niche for their skills and products. The problem is, they are often restrained from getting on with their ideas because of the administrative burden. I therefore endeavour to unleash them from their administrative ties, creating time for the entrepreneurial innovation and business development." The service offered is confidential and personal. Andrew prefers to be able to react to any issue immediately than to tell a client that he can't assist them for a week or so. If a client has called, it is because they want an answer or help now, not next week. Sometimes just being there to listen to an idea of a Director or proprietor, or to provide a reassuring comment makes all the difference. Andrew Martin has lived and worked in Somerset now for twenty six years having relocated from London. Starting work as a novice clerk, Andrew was employed by a local firm of Chartered Accountants in Taunton during which time he was engaged in the specialist Agricultural Department of the firm, optimising his considerable knowledge and experience of farming practice. 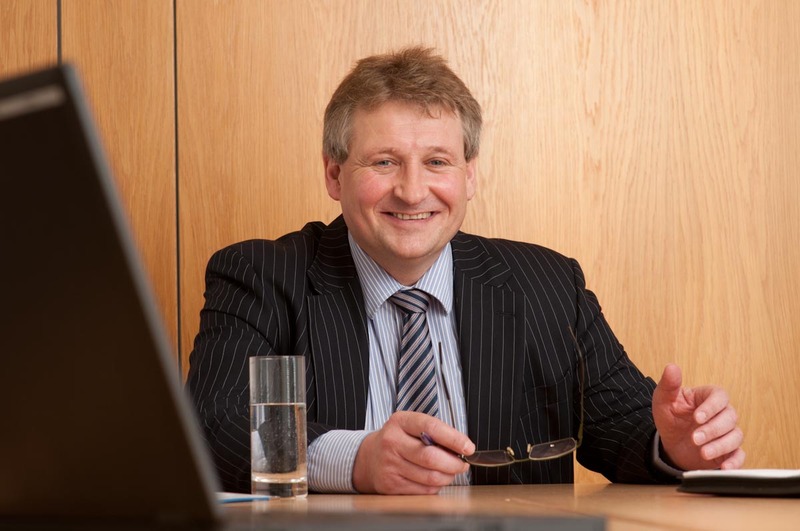 After two years, it was time for him to reposition within the firm in order to gain broader experience of other business types and industries, albeit retaining a small portfolio of farming clients. Auditing and taxation experience brought him into contact with many new clients, with businesses of varying size and complexity, requiring the ability to communicate at all levels within an organisation. After many years an exciting career opportunity meant leaving private practice for a position in industry with a local company that required strong financial management and control. Having restored core profitability and turned around the financial function of the business it was time to answer a call for help from an associate in the motor trade. This business too, although considerably larger, had major cashflow issues and Andrew's experience of the necessary policies required in such circumstances ensured that the company survived through a difficult period. Andrew was also responsible for the Year 2000 system compliance audits and reviews for this multi-location corporation including the design of the restructuring and centralisation of the administrative function including the implementation and project management of a new Dealer Management System and associated works. Soon it was time to accept a position with a larger organisation ranked within the top fifty UK private companies in its field. The role was a fresh and exciting challenge for Andrew, requiring all of his financial and systems experience, in addition to general business management including personnel, marketing and customer relationship management. Alas, poor health required a new focus on the importance of life and a change of lifestyle. Persuasive arguments from business associates and friends steered Andrew into forming his own business, a partnership with wife Lyn. Lyn's role within the business is to assist with the administration of Andrew Martin Consulting. You don't leave your television on all night so that you can always keep up to date with the news or your favourite soap opera (if there can be such a thing). No, you switch on the TV at certain times when you want an update. Nothing would get done if you spent all day in front of the box, so you watch it periodically. So why not out source your financial control to a competent professional as and when needed, rather than try to cope with this in house, perhaps without the expertise required. You outsource your tax advice, your insurance brokering, your pension and life assurance advice. Why not professional business management assistance. This is the window to what is happening in your organisation. It enables the reader of the information to form an opinion on how the business is performing compared to how progress was envisaged per the budgets or plan and with a second eye on historic accomplishment. It is not just a list of numbers, it will provide graphical presentations of solvency, dependency on key customers and suppliers, perhaps the performance of individuals within the organisation eg sales staff. When a business starts, the management are very aware of all that happens and those staff employed. They will deal directly with all suppliers and customers alike and so have a good rapport and knowledge of each of them. But as the business grows and develops, the directors or proprietors start to delegate to others these relationships. Consequently, they become less in touch with the day to day issues, whether operational or relationship. They of course think that they do have a sound in touch working knowledge, but it can't be as good as it was when the business was smaller - it is just not possible. What they are actually aware of is glimpses of what is happening and because of their previous depth of knowledge within the business, they assume the true picture. It is akin to an employee standing behind a brick wall with his employer standing on the other side. The employee is making changes to the face of the wall on his side. The employer might guess at what the employee is doing based upon their knowledge of the employee, but that's all it can be - a best guess! When the employee stands in front of a window instead of the wall and tries to do the same thing, all is revealed. It is clear to see. The employer can now see exactly what the employee is doing. Sometimes the employer might not necessarily like what the employee writes on the window, but at least he or she can see what is happening, how often and to what extent. This is the similarity with management information. Not only will the MI provide facts on what has already happened, but it will also reveal existing patterns and expose new trends. The MI is the window to the business performance and health so consequently, remedial action can be taken if necessary to steer the business in another direction, or to seek additional funding, to invest further or de-invest, whatever is deemed appropriate. Quality MI allows a factual vision of the business, not a reliance on an experienced representation of past knowledge. As trends emerge, good or bad, a focus on cause and consequence will enable resources to be reallocated if necessary to correct or maximise performance and opportunities.